You are currently browsing the tag archive for the ‘ANTLR’ tag. 3. After downloading antlr package create a folder named “ANTLR-3.2” and inside it create another folder “lib” and put antlr 3.2jar downloaded in step 2 in the lib directory. 6. eclipse 3.5 (we already downloaded it). 7. GEF 3.2 (graphic editor framework for eclipse). 8. zest 1.0.0 ( a simplification for graphs in eclipse inside the GEF. 9. Dynamic Language Toolkit(DLTK) Core. 10. Open eclipse save your select a destination to save your workspace e.g C:\Users\owais\workspace (/home/advo/workspace for ubuntu). to install the plugins goto help menu click on Install New Software, change the work with drop down meny to “Galileo- http://download.eclipse.org/releases/galileo. on the main plugin distribution site for the plugins to be downloaded from eclipse, uncheck the Group items by category to get GEF, zest and DLTK. To get DLTK type Dynamic languages in the search box for main plugin distribution site. 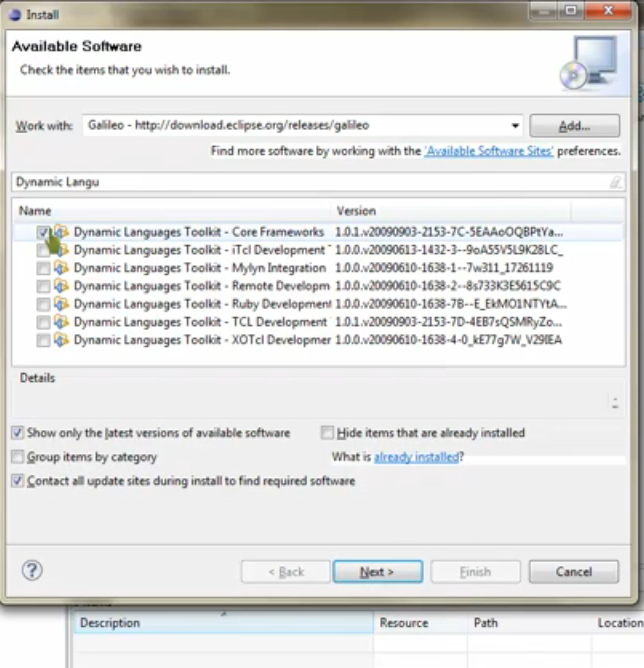 you will get a list of available dynamic languages plugins. Check the “Dynamic Languages Toolkit-Core Frameworks”. 11. 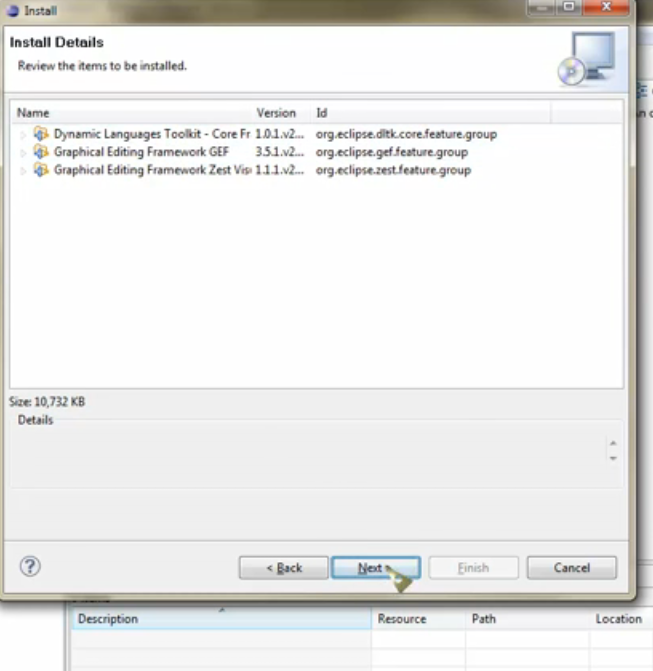 To get GEF type GEF in search and check “Graphical Editing Framework GEF”. 12. Type zest in the search to get available zest plugins and check “Graphical Editing Framework Zest Visualization Toolkit”. 13. In order to make sure all three plugins got checked blank/remove anything entered in the search box to get all the available plugins list. Confirm all the three checkmarks are there by visual inspection. 14. Click on next we will see all three plugins, and then click next and accept the license and click finish and restart to take effect. 16. 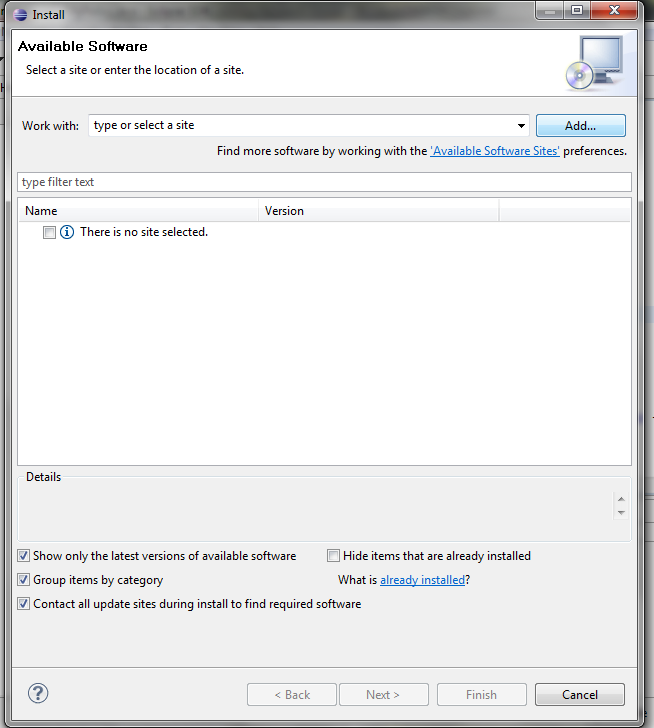 To setup ANTLR goto window menu and click on preferences. click on ANTLR and check the “mark generated resources as derived“. UNderneath ANTLR click on builder and define an antlr package. 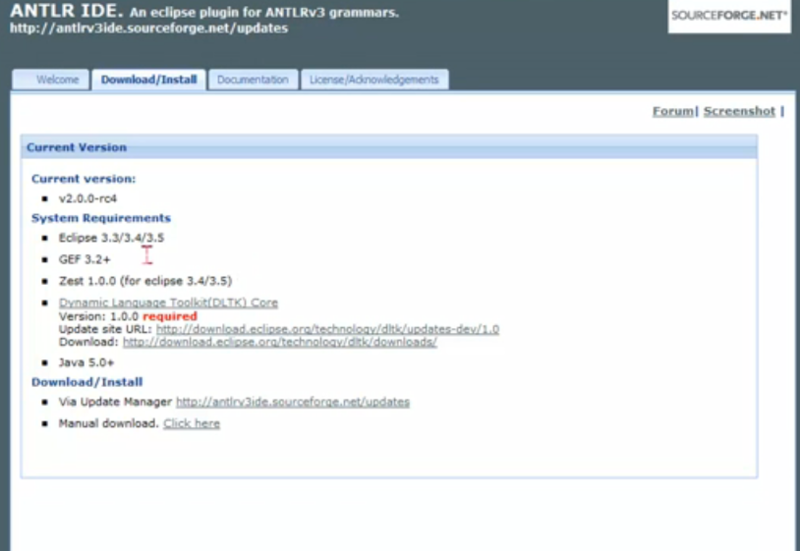 click on add and include the directory that we put ANTLR-3.2 into and click ok. underneath Code Generator check “Project relative folder” to keep generated files seperate from source files and give name to output folder name e.g antlr-generated and check “Append java package to output folder” and click Apply. Under editor change Tab policy menu “Tabs only” and change identation size and displayed tab size to 4. Inside editor click on Content Assist and uncheck “Enable auto activation” and in folding option uncheck “enable folding“……. and click OK to complete to setup everything to create a project.